All-in-one booster pump unit, The ESV pump is mainly consisted of pump, motor, flow sensor, pressure tank and CPU board. Auto run and boost water pressure while water is consumed.Auto stop running while no water is consumed. 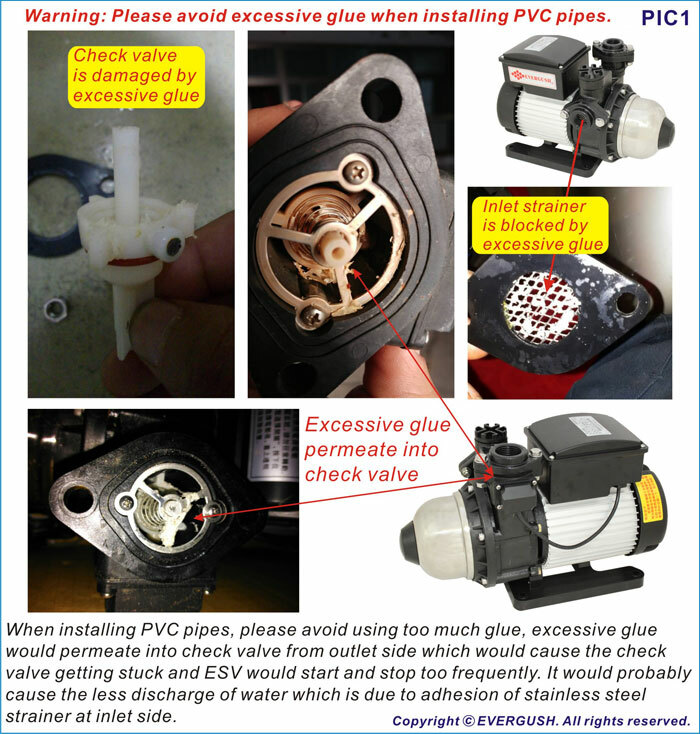 Dry-running shutdown protection- To avoid motor burnout, ESV pump will shut down within 1 minute once dry running occurs. Built-in thermal protector can prevent pipeline burst due to abnormal frequent on/off. Low noise operation; Compact design for space saving. Always keep stable water pressure while using (hot) shower. 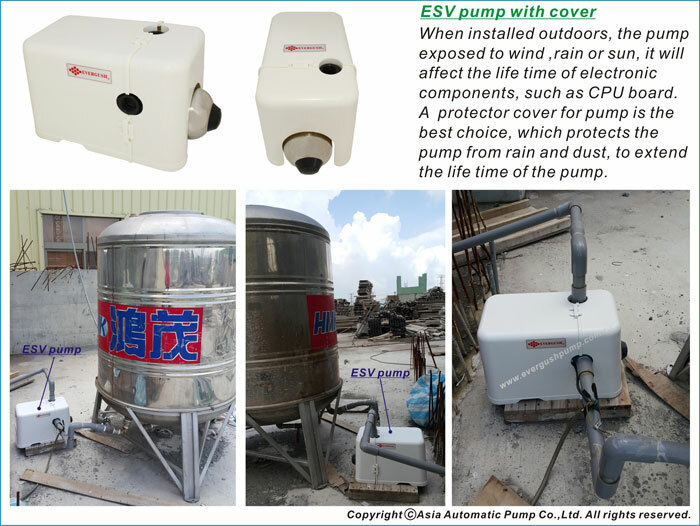 Beautiful and sturdy water-proof cover is optional, it can protect the electronic parts of the ESV pump, to avoid damage caused by wind,sunburn and rain, to extend the life-time of the unit. 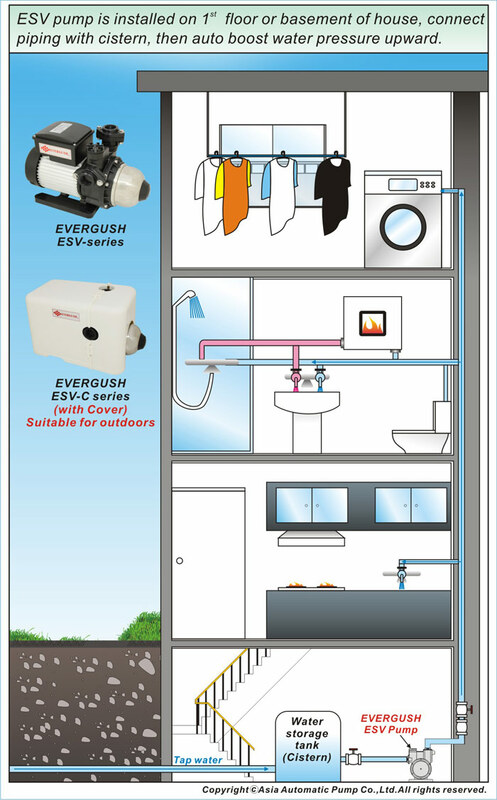 Auto boost water pressure to the house, apartment, villa,school, restaurant, school, beauty shop,...etc. 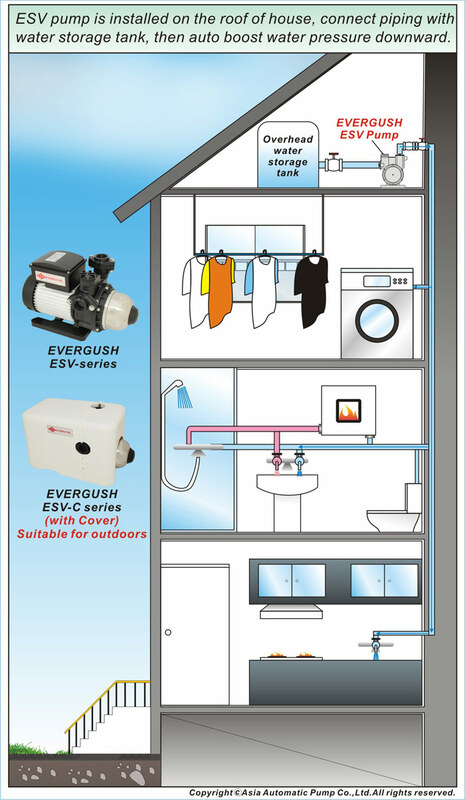 Auto boost water pressure to garden sprinkler, heater,toilet, washing machine, sanitary equipment,...etc. 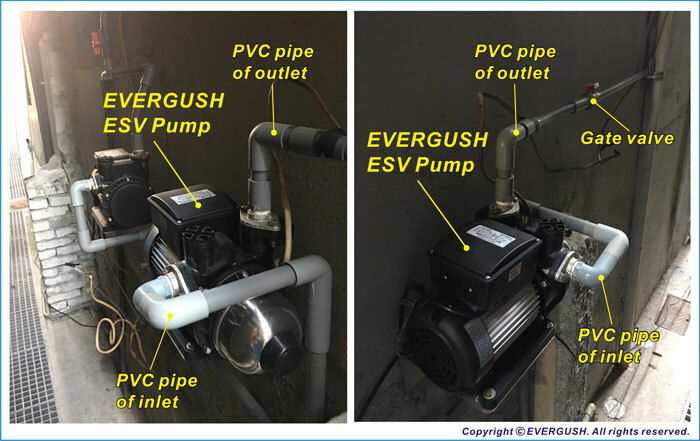 INSTALLATION 3- ESV pumps are installed on the roof of the apartment building (water source comes from the top floor storage tank).Auto boost water pressure downward High floor residences. Working pressure: Max. 5 bar. Before starting the pump, make sure inlet pressure is lower than factory pre-set activation pressure. Suitable liquid: Drinking water or clean water without solid particles or non-corrosive fluid.